The 25" Oliver Petite Bathroom Vanity offers a lot of sophistication in such a small package. 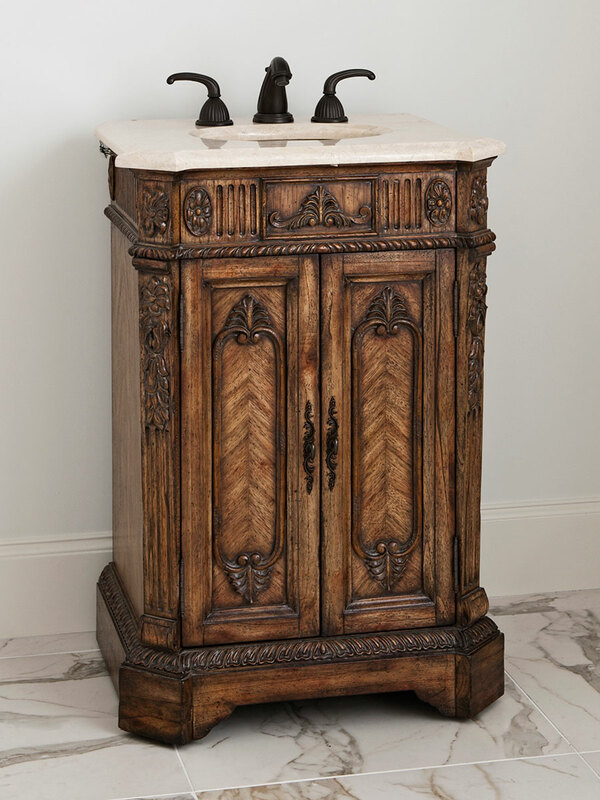 The aged wood finish is accented by intricate carved details on the sides, top, and drawers. The double door cabinet has room to store your essentials. The marble top and backsplash bring out the colors in the cabinet's finish. Faucets are sold separately. Comes with Balsa porcelain sink.